Congratulations to our club champions who will represent our club at the travelers next fall. 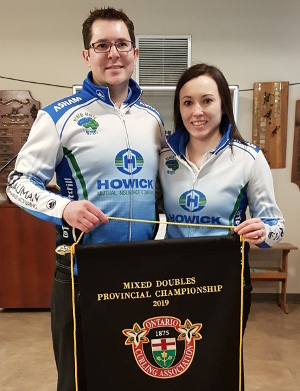 Congrats to Team Cottrill/Cottrill who won and will be going to the Nationals with the Ontario colours and Team Sutherland/Ryan came in second. Many thanks to Bona Lea Allard and Pat Walker and all their volunteers who treated the players and fans to wonderful event. 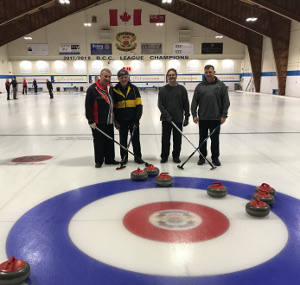 The players sent their thanks to the Brampton Curling Club for the food and hospitality. Down 4 going into the last end. Team Devitt gets very lucky and scores 8 to win,. 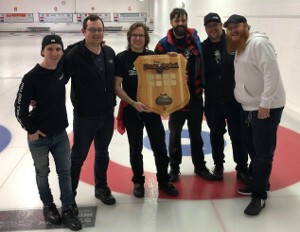 Matt Miller and his team also took home first place in the newly launched Wiarton Bongspiel! Their names will be the first engraved on the popular events plaque!